On Wednesday, February 27, 2019, the United States Marshal’s Office located and apprehended Jeffrey Gilseth and Maria Gilseth in Topeka, Kansas, without incident. The children are safe. We would like to thank everyone involved for assisting with this investigation. On Thursday, February 21, 2019, at approximately 5:24 p.m., officers were dispatched to the 1700 block of E. Central Texas Expressway in reference to a disturbance. Upon the officers’ arrival, they were told two parents kidnapped their three children during a supervised visit. They fled the area in a gold and black SUV. Through the investigation, detectives with the Criminal Investigation Division, Special Victims Unit, were told that the children were removed from the parents’ custody and placed with Child Protective Services due to a history of family violence. It is believed that the suspects have left the Killeen area. The victims are identified as 11 year-old Hunter Gilseth, white male, 9 year-old Dylan Gilseth, white male, and 4 year-old Levi Gilseth, white male. The suspects are identified as 32 year-old Jeffrey Gilseth, a white male with brown hair and green eyes, approximately 5’10” tall and 250 pounds and 32 year-old Maria Gilseth, a white female with brown hair and brown eyes, approximately 5’2” tall and 150 pounds. The suspects’ vehicle is a gold and black Ford Explorer, with Texas license plate LDC1235. This case has been reviewed with the Bell County District Attorney’s Office and warrants have been issued for the arrest of both parents in relation to this abduction. KPD has been working with the United State Marshal’s Service to locate the suspects and children. On Wednesday, February 27, 2019, at approximately 6:00 a.m., officers with the Killeen Police Department executed a narcotics search and arrest warrant at 215 W. Hallmark Avenue. During the warrant execution, gunfire was exchanged between the suspect and two officers. Justice of the Peace Bill Cooke pronounced 40 year-old James Scott Reed deceased at 7:00 a.m. He ordered an autopsy to be performed at the Southwestern Institute of Forensic Sciences in Dallas. A female was inside the residence at the time of the warrant execution and since been transported to the Killeen City Jail for narcotics related charges. One officer received minor injuries and has been treated and released. Any further requests for information surrounding this incident can be directed to Sgt. John Roberts with the Texas Department of Public Safety at John.Roberts@dps.texas.gov. On Tuesday, February 26, 2019, detectives and the United States Marshal’s Service received information on the whereabouts of York. At approximately 3:56 p.m., they located 21 year-old Darius Kirt York in the 4200 block of Bowles Drive and arrested him without incident. He was transported to the Killeen City Jail and is awaiting arraignment. Through cooperation and tireless efforts of the United States Marshal’s Service and members of the Killeen Police Department, 17-year-old Zamante Jamon Alvis has been arrested. Alvis is currently in the Killeen jail. He was arraigned by JP Cooke and a $1,000,000 bond was set for Aggravated Assault with a Deadly Weapon. The Criminal Investigation Division – Homicide Unit has obtained two warrants for the arrests of subjects involved in this incident. 21-year-old Darius Kirt York and 17-year-old Zamante Jamon Alvis have been identified as suspects in this case and are charged with Aggravated Assault with a Deadly Weapon. Officers responded to the 1300 block of Covey Lane, at approximately 11:52 p.m., on Saturday, February 16, 2019, after receiving a call for shots fired. Upon the officer’s arrival, the preliminary information they learned revealed that there was a disturbance between multiple people and at some point, several shots were fired and one subject was shot. The shooting victim was transported to a local hospital by friends. 17 year-old, Obadiah Moishe Bush succumbed to his injuries and was pronounced deceased by Justice of the Peace Bill Cooke at 1:53 a.m. on February 17. He ordered an autopsy to be performed at the Southwestern Institute of Forensic Sciences in Dallas. Officers arrested a male and a female who were suspected of being in possession of a controlled substance, stolen handguns, possession of marijuana and stolen property. On Sunday, February 24, 2019, at approximately 1:25 a.m., officers observed a blue Scion, occupied by two people, weaving in and out of traffic in the 3400 block of E. Central Texas Expressway. As officers attempted to conduct a traffic stop near Goode Circle, the male driver slowly rolled the vehicle and jumped out; fleeing westbound on foot, while the passenger stayed in the vehicle. Officers in the area located the suspect near the Killeen Mall and took him into custody without incident. Both suspects were transported to the Killeen City Jail. 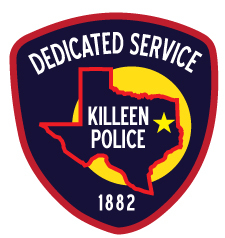 The Killeen Police Department is extremely proud of the actions of the night shift. Their proactive police work removed drugs and handguns off the streets of Killeen and possibly prevented more needless gun violence. We are all lucky that these officers were quick in recognizing a dangerous situation and rectifying it in a safe manner. Detectives are asking anyone who has information about this abduction, to contact Crime Stoppers at 254-526-TIPS (8477) or go online at www.bellcountycrimestoppers.com. You can also download the P3Tips App for IOS or Android and give an anonymous tip. All information is confidential and anonymous and if your tip leads to the arrest of the persons responsible, you could be eligible to receive a reward up to $1,000 in cash. Officers responded to the 100 block of W. Central Texas Expressway, at approximately 1:25 a.m., on Wednesday, February 20, 2019, after receiving a call for a domestic disturbance. According to the victim, the suspect in the assault was still on location in a nearby residence. Members of the Killeen Police Department’s Tactical Response Unit along with K-9 responded to identify and detain the suspect. The officers on scene were able to check the residence and discovered that the suspect had fled prior to their arrival. Through cooperation and tireless efforts of the United States Marshal’s Service and members of the Killeen Police Department, 17-year-old Zamante Jamon Alvis has been arrested. Alvis is currently in the Killeen jail. He was arraigned by JP Cooke and a $1,000,000 bond was set for Aggravated Assault with a Deadly Weapon. The Criminal Investigation Division – Homicide Unit has obtained two warrants for the arrests of subjects involved in this incident. 21-year-old Darius Kirt York and 17-year-old Zamante Jamon Alvis have been identified as suspects in this case and are charged with Aggravated Assault with a Deadly Weapon. Both of these subjects are to be considered armed and dangerous. Do not attempt to apprehend your self, call 911 or the Killeen Homicide Unit at 254-501-8800. The Killeen Police Department Homicide Unit is asking anyone who has information about the incident to contact Crime Stoppers at 254- 526- TIPS (8477) or go online at www.bellcountycrimestoppers.com. You can also give an anonymous tip by downloading the P3tips app for IOS and Android. All information is confidential and if your tip leads to the arrest of the person(s) responsible for this incident, you could be eligible for a reward up to $1,000 in cash. The suspect in this case that was arrested was 34-year-old Raymond Armondo James. James was arraigned by Justice of the Peace Bill Cooke for Aggravated Robbery and was later transported to the Bell County Sheriff’s Office with a $100,000 bond. Killeen Police arrest suspect in motel robbery. Officers responded to La Quinta Inn located at 1112 S. Fort Hood Street, at approximately 10:44 p.m., on Wednesday, February 13, 2019, after receiving a call from the desk clerk advising the motel had just been robbed. Officers arrived and were told that a black male suspect entered the lobby and demanded money from the desk clerk while displaying a weapon. The clerk complied and the suspect fled northbound on foot. At approximately 11:20 p.m., officers located the suspect in the area of Hallmark Avenue and he was taken into custody without incident and is currently in the Killeen City Jail awaiting arraignment.